Saving the internet one website at a time. ZUMA specialises in designing and building websites that really work. Located in Dunedin, we combine award-winning graphic design with the very best technical and online marketing skills to provide a full-service digital solution for our customers. ZUMA takes a strategic approach to ensure your website design works effectively at converting visitors into loyal customers. Our websites really perform, now and into the future. Much more than just a web design company, ZUMA is your local partner in brand growth and online success. Online Marketing and Search Engine Optimisation set the foundations for a successful online business. We specialise in building great websites. We use industry leading products from Adobe and build upon this with our extensive and passionate design and development expertise. 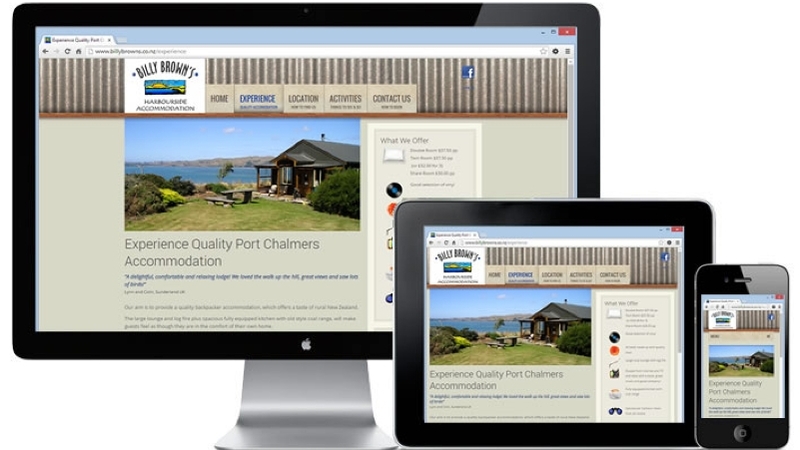 Zuma develop websites optimised for tablets and mobile using responsive design. Is your website ready for mobile traffic? Get up close and personal with the nature around Otago Peninsula with this successful and award winning tour company.